Makar Sankranti, Kumb Mela 2019 and Martin Luther King Day, I feel very happy and thankful to be in the mix. In the first dream I was with Sai sister Veena, we were traveling with herbs and camphor to have darshan of Lord Ganesha. 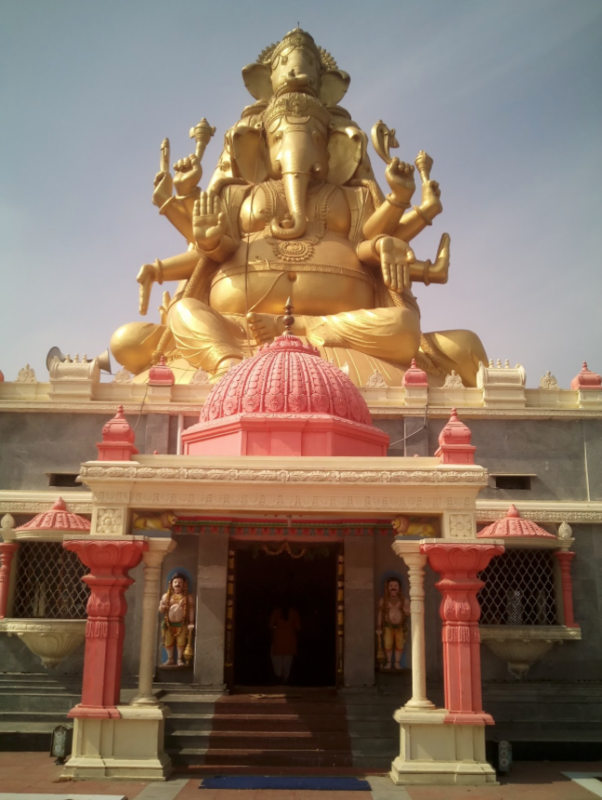 We came to a place where a colossal statue of Lord Ganesha towered over everything. The idol of Lord Ganesha was dark and rusted from years of exposure to the elements. Sister Veena and I prepared our offering and placed it at the feet of Lord Ganesha. Wondrously as the offering burned we saw the idol of Lord Ganesha start to turn golden. Starting at the head the statue turned a bright golden hue. We were very excited and realized something most fortunate had just happened. In the second dream. My husband David and I were living in the city. We wanted to adopt a very charming, unusual looking dog. The dog was slender and pranced about like a little pony. We took the dog up to our apartment, then we realized it had pendants around its neck. When we examined the pendants, there were pictures of Lord Sai. As we gazed at the pendants nectar started flowing from the pendants. I am praying that 2019 will be an auspicious, golden year for all. May Baba bless us with His Golden Presence.